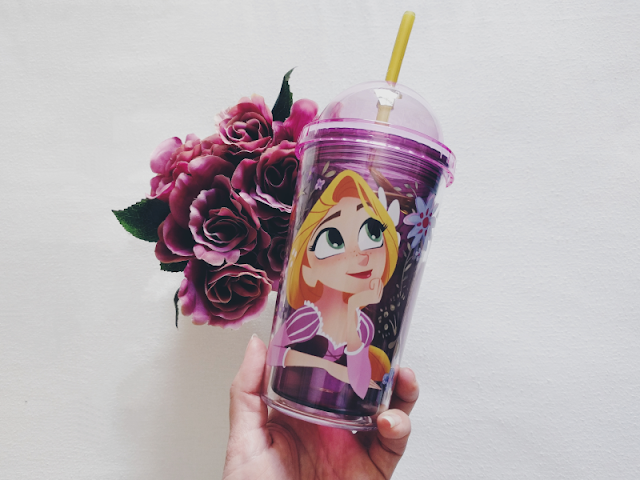 This was the first item that I managed to grab, even before the collection was released as a whole, thanks to the kindness of the lovely Sophie who picked this up from the Oxford Street Disney Store for me! I don't know about you but I adore the new animation style from the show and I think it looks especially pretty on this purple cup! 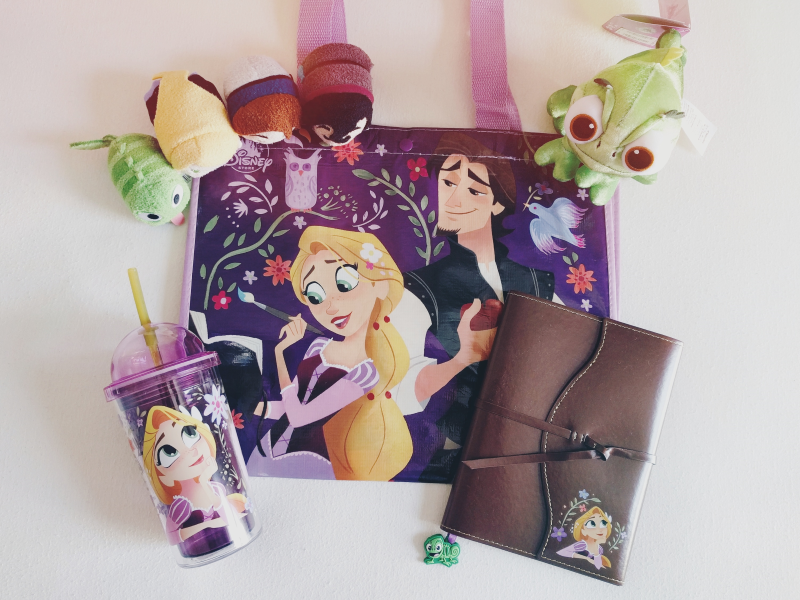 It also features Maximus and a very sassy-looking Pascal which is an added bonus. Another item I *had* to buy was the Journal! It already looked so lovely from the website but when it arrived it was even more beautiful in real life! 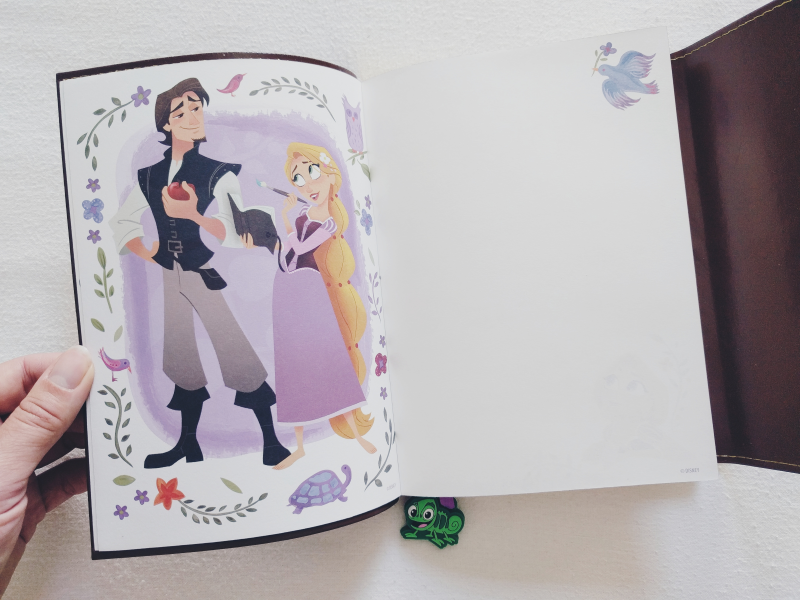 It features lots of lovely artwork and it even has one of the quotes that was featured in the show on the inside cover. Even if you're like me and already have hundreds of Disney notepads, this one is a must-have for your collection. 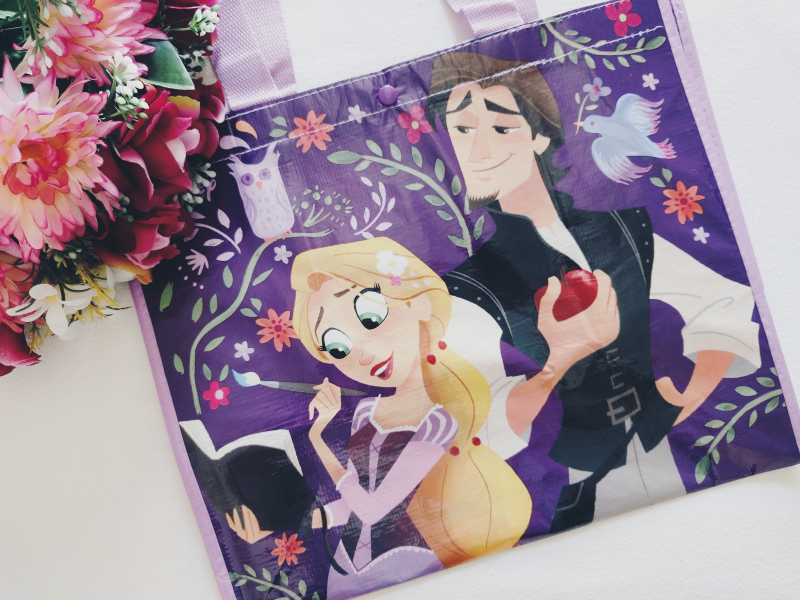 I also ordered this beautiful tote bag (seriously, how gorgeous is the artwork from this show?!) 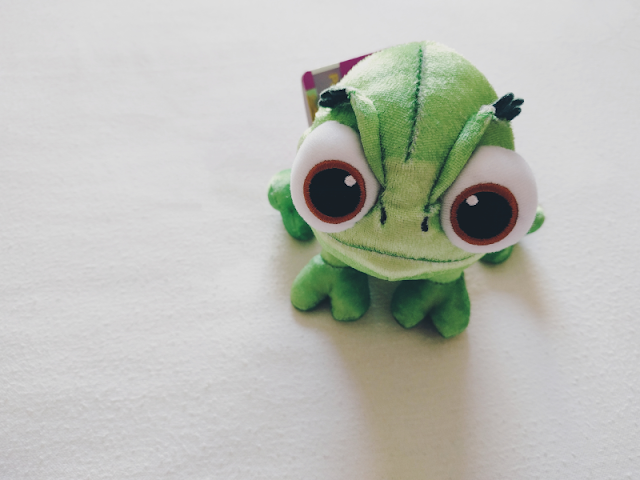 and this cute little Pascal soft toy. I have to make a bit of a confession, I was never really keen on the previous design on the Pascal soft toys as I didn't like the scales they added onto him so I much prefer this adorable new version! 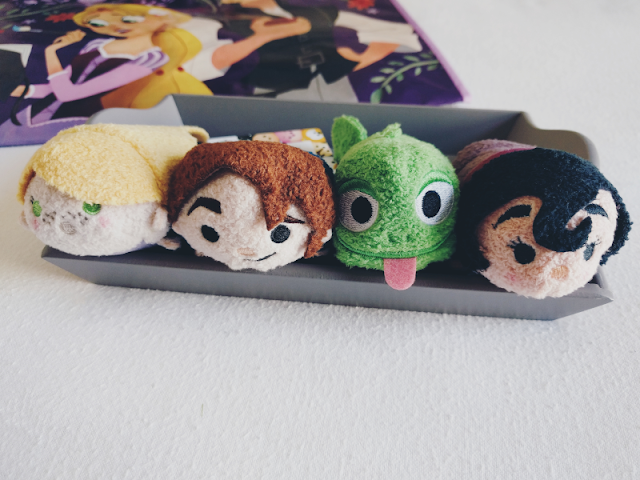 And last but not least, I picked up a few Tsum Tsums from the new Tangled: The Series collection. I ended up getting Rapunzel, Flynn, Pascal & Cassandra and for the most part I was really pleased with them! Although Rapunzel's plain hair was a little disappointing (I was hoping they'd make her hair like it is in the series), Flynn was a massive improvement on the previous Tangled collection! 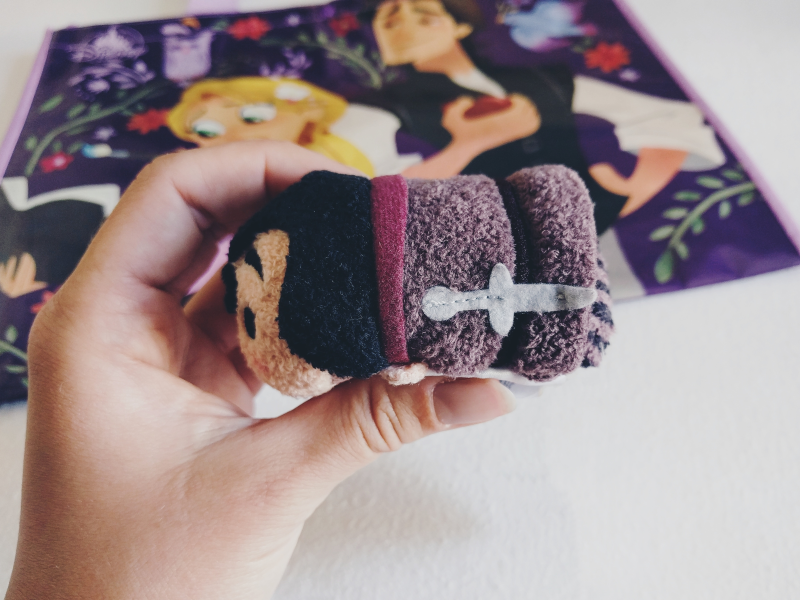 He definitely looks a lot more recognisible than the previous Flynn Tsum and the little details on Pascal and Cassandra are really sweet as well. I love her little sword! I absolutely love all of these! Just as I was trying to resist not buying anything from the Disney store.. GAH!